In all the negotiations you've done so far in your life, you probably never expected to use your experience to make “deals” with your very own toddler! But that's the position you've been finding yourself in lately when trying to get that little person to listen and follow your directions. You may remember that when you were a kid, your parents' orders were to be carried out without question. So why do you have to negotiate with your child now? The “do-what-I-say” strategy your own parents may have used was probably effective and got immediate results. However, there are long-term consequences to that approach. For one, children who are taught to obey without question learn how to take orders but often have difficulty making decisions in life. You may wonder, then, how you can get your child to cooperate without you having to demand, nag, bribe or threaten, which leads us to the fine art of negotiation. Know the person with whom you're negotiating. You may think you know that person because he's your own child, but what do you really know about him? What gets him excited? What does he always want from you? How would you feel if you were in his shoes? What is he capable of doing, and does he know how to do what you’re asking? How many directions can he understand in one sentence? Avoid nagging (“How many times do I have to tell you?”), begging (“Do it for Mommy”), blaming (“You're wearing me out.”), shaming (“I'm disappointed in you.”), bribing (“If you do it, I'll give you candy.”), and threatening (“You want me to spank you?”). 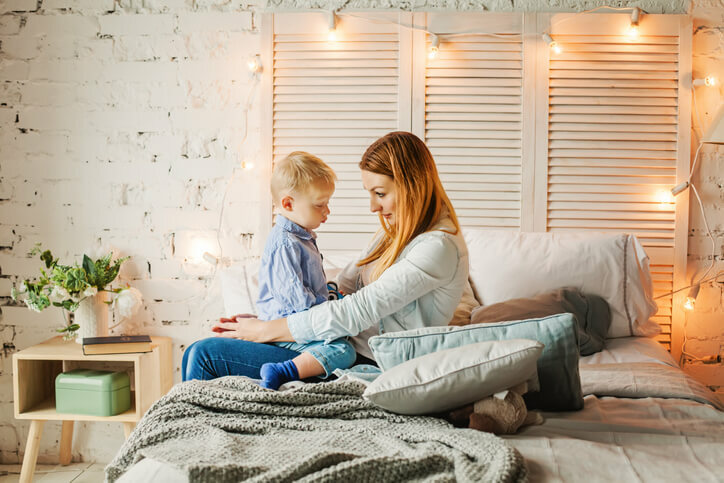 Besides not being effective in the long-term (they may get immediate results by instilling guilt and shame), these negotiating tools increase the chances that your child will not learn positive ways to motivate himself to act responsibly. Praise your child; it’s a key to motivation. We all work harder for someone who appreciates what we do. When you praise your child by describing his actions positively - for example, “You put the toy in the basket. You’ve cleaned up your room so nicely!” - that praise tells him that you like what he's done; more than likely, he'll want to do it again.